Osteopaths are primary health care practitioners who recognise the important link between the structure of the body and the way it functions. Osteopathy is a form of manual medicine which facilitates healing by focusing on how the skeleton, joints, muscles, nerves, circulation, connective tissue and internal organs function as a holistic unit. Using skilled evaluation, diagnosis and a wide range of hands-on techniques, osteopaths can identify important types of dysfunction in your body. Osteopathic treatment uses techniques such as stretching and massage for general treatment of the soft tissues (muscles, tendons and ligaments) along with mobilisation and manipulation of specific joints and soft tissues using direct or indirect techniques. Osteopaths are registered ACC treatment providers, and you do not require a referral from your GP to receive ACC covered treatment. LeeAnn is a New Zealand trained osteopath, with a Master of Osteopathy from Unitec in Auckland. She has completed five years of training resulting in a strong knowledge of anatomy, physiology, pathology, neurology and general healthcase diagnosis in addition to a variety of osteopathic techniques. 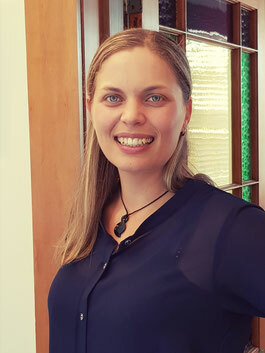 LeeAnn finds the multi-faceted approach of osteopathy provides outstanding results for patients who suffer from both acute and chronic conditions. She treats a diverse range of patients of all ages from infants to the elderly with a range of osteopathic techniques tailoring her approach to fit the individual. Lee-Ann has completed a broad range of professional development courses after her training including visceral (organ) treatment, cranial osteopathy, paediatric and pregnancy treatment, kinesiotaping and myofascial release. When she is not practicing osteopathy, LeeAnn can be found planning her next travel adventure, mountain biking, hiking or at the beach. She is also partial to good conversation, good food and a glass of vino – life is about balance after all. To make an appointment with LeeAnn, please visit www.whakataneosteopaths.co.nz or phone/text 0274606877.